Don’t give the story away (“Morris Saves the Planet”), and don’t wimp out with a generic phrase (“The Planet”). The title should set the tone for the story and be compatible with the style, imagery, and tone of the story yet leave something to the imagination. Consider a line of dialogue, an obscure term or phrase, a twist on a cliché or cultural reference, or a pairing of unrelated words (think rock band). Like the frame of a painting, the title should set your work off to its best advantage, not just package it. Read the submission guidelines carefully and follow them exactly. Then, think about how you can break away from the herd. Do the guidelines specify a genre? If not, consider writing a mystery, fantasy, or even a western. Think about an unusual point of view, a different setting, or something else outside the norm. Go beyond the expected. What is the minimum word count? Many submissions will come in near the maximum (writers tend to cram in as much as possible). Why not go small and focused? If it’s an anthology, there may be a little bit of room left, and your short piece could just fit! Even a light, humorous story can tap into a bigger theme by incorporating a universal truth or moral (“there’s no place like home,” “crime doesn’t pay,” “love is blind”). Just don’t be too obvious. Let elements in the story take on greater meaning as the story progresses, so readers can discover their significance and recognize the message on their own. Theme is often revealed when the characters conflict with each other or when the protagonist faces the central problem or challenge. It’s what the story “is about” at its core. Want more? 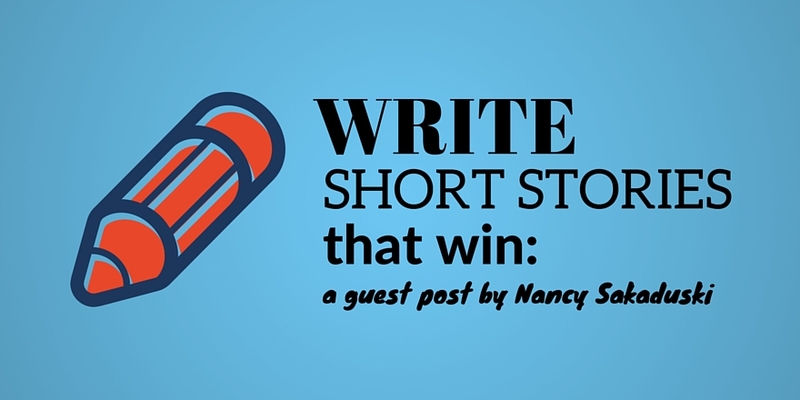 Check out Nancy’s book How to Write Winning Short Stories: http://amzn.to/1TWJddH!